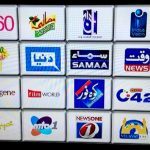 Pakistan Electronic Media Regulatory Authority (PEMRA) has issued an order to restore the previously suspended Pakistani News Channels. According to a press release by PEMRA, all news and current affairs channels whose license was suspended yesterday, have been restored. At the same time, cable networks and distribution companies have been directed to restore the suspended news channels. The government of Pakistan through a notification by PEMRA had suspended news channels across Pakistan and were barred from live coverage on the on-going Faizabad. After over 24 hours of a ban, the government has decided to unsuspend the channels. The channels have been provided with guidelines about covering Faizabad Dharna. The sit-in has entered its third week. Yesterday morning, the government tried to clear the Faizabad area from protestors but the situation turned violent. One police official lost his life while over 180 people were injured. Dozens are still under medical care at various hospitals in the capital. According to media reports, Chief of Army Staff, who was out of the country yesterday, met with Prime Minister of Pakistan and showed his concerns about banned channels and social networking websites. A few hours later, PEMRA issued the notice of suspension, however, major social networking websites still remain blocked.